An office should not be a mere collection of contrasting desks, chairs, computers uncomfortably crammed into four grey walls. This will only make everything appear dull. Unfortunately, most business owners often neglect having an office that provides. A good atmosphere promotes good vibes. Happy workers are more creative and thus, more productive. Good business equals a happy owner. Everything from office partitioning, fitouts, renovations, and office furniture placement needs to be well thought of to have a more conducive place for inspiration to strike. This helps to let them personalise their own workspace. Family photos and personal trinkets have no added cost for you. Giving employees this leeway empowers them to have more initiative and to be more creative. They can be divided. This can foster a more personal interaction between office mates and thus make a better team. Strategic zoning of workstations foster cooperative collaboration between colleagues. Create more space for calmer, quieter office zones. While some employees may thrive in a much more festive atmosphere, others may prefer to work in more laid back and isolated surroundings. Embed the company’s mission and vision into the employee mindset. Oneness and unity become second-nature when the office has a team spirit. Observing your staff and their distinctive personalities can give business owners a better overall feel of what works and what does not in terms of office space and design. 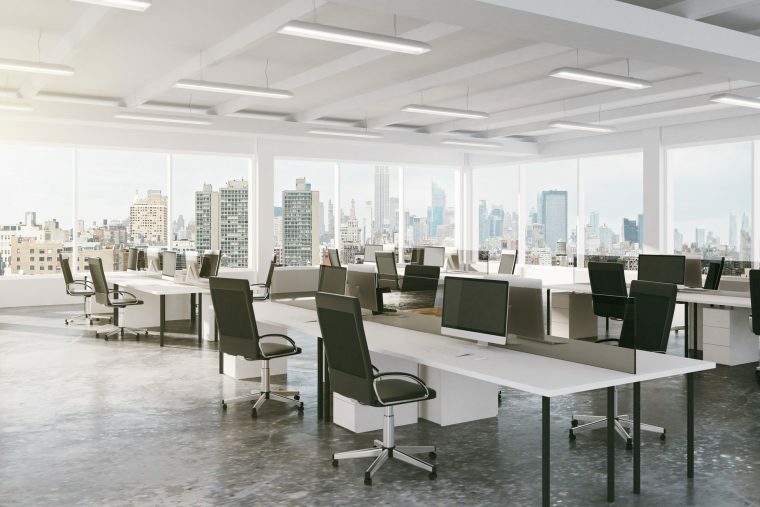 Natural and artificial lighting can set the tone under which employees will work. Let The Caretakers take care of your office design needs. You are sure to benefit from our efficient and creative office space designs. Business flourishes when employees thrive. Moreover, as an employer, it falls upon your shoulders to provide them with a blossoming working environment. Contact us today so we can help you provide the second home your staff needs.